Kevin Ward is an Assistant Research Professor at the Rollins School of Public Health and the Department of Epidemiology at Emory University. He is the Director of the Georgia Center for Cancer Statistics and the current PI of the Metropolitan Atlanta and Rural Georgia SEER Registry. Dr. Ward has worked with the Georgia Center for Cancer Statistics and its SEER Registry for over 14 years and has collaborated with numerous researchers to utilize the registry population for rapid case ascertainment and other research studies. He has extensive experience with population-based registry data, registry operations, data security, uses of the registry for research purposes, and linkage of SEER data to external data sources. 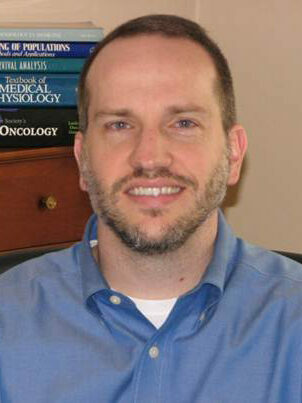 Dr. Ward’s prior experience and expertise has positioned him to serve as Co-Director of Core B (Survey and SEER Data Collection Core) and Co-Investigator on the randomized controlled trial of an online treatment decision making tool for women with breast cancer in the Atlanta metropolitan area.